In 1998 low back pain cost the National Health Service £1,632 million. It has been found that back pain does not just affect the range of movement of the spine, but also the coordination between hip and spine motions. Research by Professor Raymond Lee at the University of Brighton, demonstrated that back pain patients have increased spinal stiffness, and that manual therapy was able to restore the stiffness to a normal level and to produce an associated decrease in pain. Bjordal et al 2004 also found that osteopathic manipulative treatment was of clinical importance in the reduction of pain, and was comparable to anti-inflammatory drugs and may last longer. 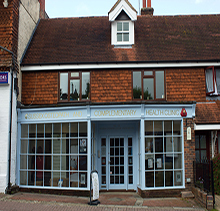 Osteopath's patient centred approach to health and wellbeing means they consider the symptoms in the context of the patient's full medical history as well their lifestyle and personal circumstances. Using many of the diagnostic procedures applied in conventional medical assessment, Osteopaths seek to restore the optimal functioning of the body, where possible without the use of drugs or surgery. They may request the additional diagnosis of scans or x-rays where appropriate, and should always refer on to the relevant professional is osteopathic treatment is deemed unsuitable. Osteopaths dealing with musculoskeletal disorders often assess biomechanical function of their patients, such as body motions, forces and postures, and treatments generally involve manual techniques that help restore biomechanical functions. Treatment may consist of a combination of many different techniques including: soft tissue work, mobilisation, and manipulation. Some osteopaths may use cranial or visceral (the internal organs or the body) techniques, which are gentler if a strong approach is not suitable. Visceral dysfunction often contributes to recurring back pain or chronic conditions. It can affect the spine through reflexes, soft tissue connections and pressure changes in the abdomen and chest cavities. Tension due to visceral spasms transmitted to the spine, can cause tension of the spinal muscles and restricted movement of the spine and pelvis. Osteopathic treatment offers the option of drug free pain relief, eases the physical wear and tear associated with ageing and can improve mobility and reduce inflammation all of which will enhance overall quality of life and independence.